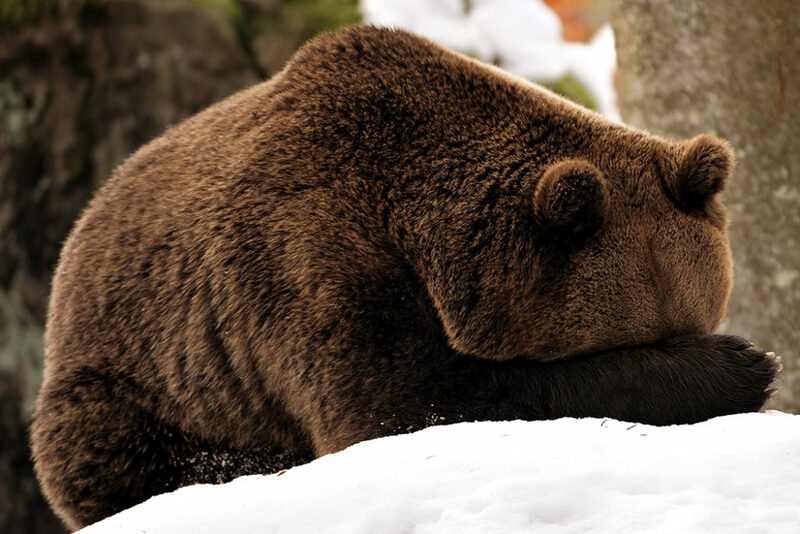 Really, I’m just interested in this article because of this photo of a bear. The platformization of the web has claimed many victims, RSS readers included. Google Reader’s 2013 demise was a major blow; the company offed it in favor of “products to address each user’s interest with the right information at the right time via the most appropriate means,” as it Google executive Richard Gingras put it at the time. In other words, letting Google Now decide what you want. And the popular Digg Reader, which was born in response to that shuttering, closed its doors this week after a nearly four-year run. Despite those setbacks, though, RSS has persisted. “I can’t really explain it, I would have thought given all the abuse it’s taken over the years that it would be stumbling a lot worse,” says programmer Dave Winer, who helped create RSS. It owes that resilience in part thanks to social media burnout. Stankov says search traffic to Inoreader has nearly doubled since 2015, all organically. “RSS readers have not only survived in the era of social media, but are driving more and more attention back to themselves, as people are realizing the pitfalls” of relying too much on Facebook and others, Stankov says. The Moral Majority appeared at about the same time that the actual majority was more and more comfortable with divorce and couples living together out of wedlock. Evangelicals experienced the power of growing numbers and healthy subcultural institutions even as elite institutions—from universities to courts to Hollywood—were decisively rejecting traditional ideals. It’s mostly men who write history, and mostly men who, according to those history books, make history. But it’s women who live through the most of it. And in daily life, it’s women who do the work of remembering important names and dates and events. It’s women who write the shopping lists and birthday cards and absence notes, documents that rarely make it into our history books, while men are busy writing magazine articles and legislation ― and the history books themselves. And really, it’s remembering the names and dates and sending the cards that creates the bonds that hold society together so maybe if everyone did it, the world could be a little better? As you can see, I’ve not blogged here in a really really really long time. It’ll probably continue. The academic, at a world-famous UK university, says postgraduate degrees are awarded to students lacking in the most basic language skills. There are concerns that financial pressures to recruit overseas students for cash rather than quality could threaten the credibility of degrees. I can’t say that I’m surprised. I ended up working with a nice guy from China in one of my group projects who didn’t really understand English that well or, for that matter, programming. I suspect the two things were related – the rest of the group would assign him a relatively easy part of the software to work on, but he would never quite understand that he had to write that module in the context of the rest of the software. On the other hand, while his programming wasn’t good and his spoken English wasn’t great, he could write essays and stuff fairly well. No idea if he got help there – but the benefit of being able to sit down with a dictionary and then get another person to proof-read afterwards probably helped loads there. Barack Obama has declared himself “the Democratic nominee for president of the United States”. He was speaking to a cheering crowd on the last day of the primary season, after receiving the support of enough delegates to clinch the nomination. I…don’t entirely understand the US system of voting – all I know for sure is that it seems to take a heck of a long time for them to just pick a candidate to run in the election. I don’t think I could get excited about something that too so long to get done with – even if I was a US citizen! As someone who lives in a totally different country (although it could be argued that at times, the UK is the 51st state), I…care even less now, even if whoever is eventually (like, in a billion years time) elected as the next president will have a fairly large impact on world affairs. Perhaps it’s election fatigue. And how much does the nominated candidate actually represent the views of the population? It feels like individuals vote for some guy who votes for someone else who votes for someone else who votes for someone else who will pick who THEY want to be presidential candidate for them. Is that really how it works? Can anyone shed any light on how it works? And then there’s the question of who’s going to be the vice-presidential candidate? I guess it’s just a case of wait and see. This…is the most awesome thing I’ve heard all week.